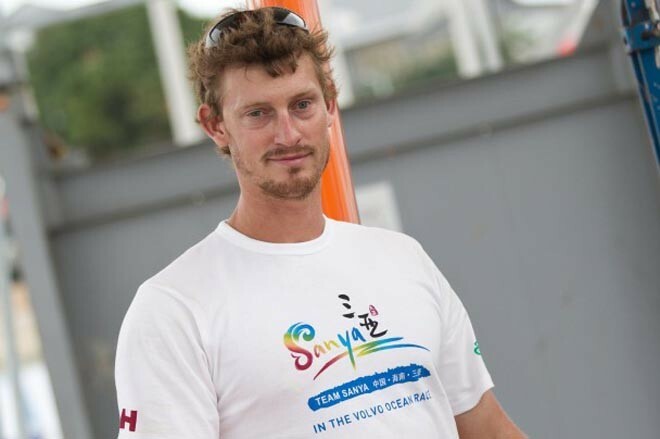 Denmark’s Martin Kirketerp will sail on Team Sanya for the Auckland In-Port Race and the Volvo Ocean Race Leg 5 to Itajaí. Kirketerp replaces Ryan Houston, who has picked up an infection. The 29-year-old had been working on the Sanya shore team but always said his ultimate ambition was to step up to sail in the Volvo Ocean Race. That chance has come sooner than expected, with the Dane only finding out about his place on the crew a couple of hours before the start of the In-Port Race. ‘Poor Ryan’s been struggling with an illness and I really feel for him,’ said Sanya skipper Mike Sanderson. ‘He’s a pivotal part of our team and he’s devastated to be missing the next leg. Kirketerp won Olympic gold alongside Jonas Warrer in the 49er class at the 2008 Olympics, with the pair beating Spanish duo, Iker Martínez and Xabi Fernández to the gold. Those names will be familiar to anyone following the race, with Martinez skippering the current overall race leaders Team Telefónica and Fernández a member of his crew.